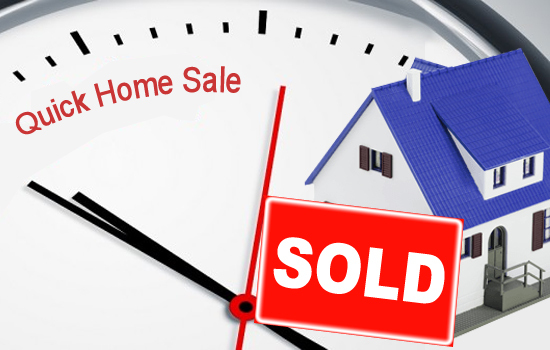 Home» best house sale » why IS 2017 the time for a quick home sale? why IS 2017 the time for a quick home sale? For those facing the ‘cat on the wall situation’ and can’t decide whether or not to make that jump and sell your house, here are some factors to be considered about the present real estate market, which can help you with making the decision. The general consensus is that 2017 seems to be a promising year for home-sellers, with at least a moderate to blooming market, especially in states like North Carolina and Maryland. Of course, the national and local conditions need not concur and it is imperative to make of note of the local and personal situations before making that home sale. The job market across the country is getting stronger and there is an increase in the people’s income. More wages means more and more people can afford to buy their own houses. The general rise in rent has lead to a decline in the demand for rentals and people are finding it more profitable to own homes. This is especially for the young people in their 20ties and 30ties who are the most important beneficiaries of improving job conditions and a strong economy. Though an all-time low mortgage rate means a low ownership price, home buyers are influenced by many complex factors and this one point need not necessarily encourage buyers to make the deal.Initial down payment may be more of a worry for people who want to buy houses, rather than the monthly mortgage payments. However, low interest rates will not stay the same for too long. With the changing economy and government policies they will also change and this may cause people to be in rush to buy houses, lest they increase like they did at the end of 2016. They want more and more…. On top of the increase in demand for more houses, the number of properties on display available to the buyers has been coming down over the years. Raving demand from hungry buyers coupled with low competition. Definitely sounds like a seller’s dream. Not to mention, the hike in the housing prices implied by the above-said situation. However, the excitement of a favorable market should not blind sellers to the fact that it is up to them to close the deal in such a way that the market which worked for them while selling, also gives them a profitable purchase afterward. This means a careful weighing of the financial expenditure their new purchase would involve and then planning the sale. Make good use of the year! At fastoffer.com you can find an excellent online platform to help you sell your house quickly now during this splendid year. We provide free service and find you the most suitable buyer based on your needs. You can get a direct and best cash offer for your house with the least effort. Don’t wait any longer, getting closer to your dream house is just one click and four steps away.